SBI PO 2017 :- State Bank of India (SBI) has announced the Probationary Officers (PO) recruitment notification on February 6. The SBI PO 2017 is scheduled to be conducted for recruitment of a total of 2403 candidates. The exam of SBI PO 2017 to be held in online mode two phases – preliminary and mains. The preliminary exam of SBI PO 2017 is scheduled to be held in multiple sessions on April 29 & 30 and May 6 & 7. Candidates who will qualify in SBI PO 2017 preliminary exam will be shortlisted to appear for mains exam and candidates who will qualify the mains will be subsequently called for a group exercise & interview. The main exam of SBI PO 2017 is scheduled to be held on June 4, 2017. Candidates who are Graduate in any stream and between 21 and 30 years of age as on July 1, 2017 are eligible to fill the application form of SBI PO 2017. The online registration process of SBI PO 2017 has started from February 7, 2017. Candidates are advised to read the SBI PO 2017 notification carefully before beginning the application procedure to ascertain their age and academic qualification as required. The details of SBI PO 2017 recruitment exam like eligibility, exam pattern, application form, cut off and result is given below. SBI has revised the selection procedure for recruitment of Probationary Officers 2017. As per the new notification, the conducting authority will now hold group exercises instead of group discussion for candidates who will qualify the mains examination i.e objective and descriptive test. Along with group exercise, an interview will be also conducted. Candidates qualifying for Group Exercises and Interview under ‘OBC’ category would be required to submit OBC certificate containing the ‘Non-Creamy layer’ clause. Candidates not submitting the OBC certificate containing the ‘Non-Creamy layer’ clause and requesting to be interviewed under General category will not be entertained. The SBI PO 2017 exam will be conducted across 44 state/UTs. The tentative list of examination centres for the Preliminary Exam has been made available by SBI along with the notification. The candidates will have to enter their choices of SBI PO Exam Centres 2017 while filling up the Application Form. No request for change of centre shall be entertained. SBI, however, reserves the right to cancel any of the exam centres as its discretion depending upon the feasibility. Candidate will have to appear for the examination at an Examination Centre at his/her own risk and expenses and SBI will not be responsible for any injury or losses etc. of any nature. The centers for the Main Examination will be limited. Candidates applying for SBI PO 2017 exam should fulfill the necessary eligibility criteria as per Nationality, Age and Educational Qualification. Educational Qualification –Graduation in any discipline from a recognized university or any equivalent qualification recognized as such by the Central Government. Those who are in the final year/semester of their graduation can also apply. Candidates must have a valid email id, which must be active till the end of recruitment procedure. Candidates must click on the official link to open the SBI PO 2017 Application Form format. Candidates must go through the application procedure carefully before filling in the SBI PO application form 2017. Applicants must submit all the required data in the application form. If a candidate is not able to fill the data in one go, they can save the data already entered. Once saved the data, a provisional registration number and password is generated by the system and displayed on the screen. Candidates must note down the registration number and password. Candidates can re-open the saved data through the registration number and password and edit the particulars, if required. This facility can be availed thrice only. Candidates must upload their photograph and signature, with respective dimensions and sizes as mentioned below, at places designated for the same. Once the application is duly filled, candidates must submit the data. No change /edit will be allowed thereafter. The registration at this stage is provisional. After ensuring that all the particulars filled in the SBI PO 2017 application form are correct, candidates have to pay application fee through the payment gateway integrated with the application, in accordance to the instructions available on the screen. The application fee can be remitted via Debit Cards (RuPay/Visa/MasterCard/Maestro), Credit Cards, Internet Banking, IMPS, Cash Cards/ Mobile Wallets by providing information as instructed on the screen. Online payment transaction charges, if any, is borne by the applicants. Once the transaction gets completed, e-receipt and SBI PO application form 2017 is generated; which may be printed for record. There is no requirement of printout to be sent to the Bank. In case the online transaction is not successfully completed, the applicant has to register again and make payment online. The e-Receipt and SBI PO 2017 application form containing fee details can be reprinted later. 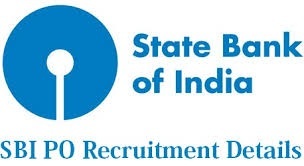 Note- In case of any problem in filling SBI PO 2017 application form including fee payment or any other queries may write to the State Bank of India officials at sbirect@ibpsorg.org, with a subject-line- ‘Recruitment of Probationary Officers in State Bank of India-2017’. Candidates must upload a recent passport size colour picture. In case a candidate attempts to use morphed photograph, that will result in immediate rejection of his/her candidature. Ensure that the photograph is in colour, taken against a light-coloured, preferably white, background. They must look straight at the camera with a relaxed face. In case the photograph is clicked on a sunny day, the sun should be behind you you should be placed in the shade, so that you are not squinting and there are no harsh shadows. In case you have to use flash, make sure there is no 'red-eye'. In case you wear glasses, ensure that there are no reflections and your eyes are seen clearly. No caps, hats and dark glasses are allowed in the picture. Religious headwear is permitted but it must not cover your face. Photograph dimensions must be 200 x 230 pixels (preferred). Size of photograph file must be between 20Kb–50Kb. The size of the scanned image must not more than 50Kb. If the file size is over 50 Kb, adjust the settings of the scanner such as the DPI resolution, number of colours etc., during the scanning process. The signature must be made only by the applicant and not by any other person. The signature image will be used to place on the Call Letter and other places. In case the Applicant’s signature on the answer script, during exam, does not match the signature on the Call Letter, it will lead to disqualification of the applicant. Signature dimensions 140x60 pixels (preferred). Size of signature file must be between 10Kb–20Kb. Size of the scanned image must not be over 20Kb. Signature in CAPITAL LETTERS is NOT allowed. File Size as mentioned above. Crop the image in the scanner to the edge of the photograph/signature and use the upload editor to crop the image to the final size as mentioned above. The image file must be in JPG or JPEG format. You can check the image dimensions by listing the folder files or moving the mouse over the file image icon. If you are using MS Windows/MS Office, you can easily get photo and signature in .jpeg format not exceeding 50Kb & 20Kb respectively by using MS Paint or MS Office Picture Manager. Scanned photograph and signature in any format can be saved in .jpg format by using ‘Save As’ option in the File menu and size can be reduced below 50 KB (photograph) & 20 KB (signature) by using crop and then resize option in the ‘Image’ menu. You can get similar options in other photo editor also. In case the file size and format are not as prescribed, an error message will appear. During filling up of the SBI 2017 Application Form, a link will be generated to upload his/her photograph and signature. Two separate links links will be available for uploading Photograph and Signature. Click on the respective link 'Upload Photograph / Signature'. Important: Canddiates must note that the SBI PO 2017 Online Application form will not be registered unless your photograph and signature are uploaded as specified above. If the scan image in the photograph or signature is not clear, the candidate’s SBI PO 2017 application form may be rejected by the Bank. Once the photograph/signature is uploaded in the online application form, the applicant must ensure that the images are clear and have been uploaded correctly. If the photograph or signature is not prominently visible, the applicant may edit application and re-upload their photograph or signature, before submitting the SBI PO application form 2017. Once the online resigtration is done, applicants should take a printout of their system generated online application form of SBI PO 2017 for future reference. Candidates from OBC category - CREAMY LAYER are not entitled to OBC reservation and age relaxation. They must indicate their category as General or General (OH) or General (VI) or General (HI) (as applicable). The SBI does not allow change of category at any stage after registration of online application form is completed. Various category names and their code numbers for SBI PO 2017 application form are available below. Candidates must take a printout of their system generated online application form after submitting the duly filled SBI PO application form 2017. They must try to fill online SBI PO 2017 Application Form much before the closing date, without waiting till the last date, to avoid the possibility of disconnection / inability / failure to log on to the website due to heavy load on internet or website jam. A candidate must not submit more than one SBI PO application form 2017. In case of multiple applications, only the last valid (completed) application will be accepted and the application fee / intimation charges paid for the other registrations will be forfeited. Multiple attendance or appearance by a candidate in the exam and / or interview will be rejected and their candidature will be cancelled. The candidates, who are serving in Government/Quasi Government offices, Public Sector undertakings including Nationalised Banks and Financial Institutions, must submit 'No Objection Certificate' from their employer at the time of interview. In case they fail to do so, their candidature may not be considered and travelling expenses, if there is any, otherwise admissible, will not be paid. If a candidate is selected, he/she is required to produce proper discharge certificate from the employer at the time of taking up the appointment. The SC/ST candidates must submit their caste certificate issued by Competent Authority in the format prescribed by the Government of India, in case they are called for interview. Candidates must keep their e-mail ID active till the end of the recruitment process for receiving advices about call letters or interview, etc. A banker’s job in the government sector is one of the most popular work profiles in the country. Apart from job security, comfortable work environment and relaxed work timings, a job in a public bank offers financial stability and perks as well. Every year large number of candidates apply for SBI PO exam but only few make up to the final selection. The competition for the exam is very high. Candidates need to put in consistent efforts to excel in SBI PO 2017 exam. They need to prepare day wise study plan for the exam. If candidates prepare well, they can clear the SBI PO exam in the first attempt. The Mains Examination comprises of Objective Test and Descriptive Test. The Objective Test will carry 200 marks and Descriptive Test will carry 50 marks. Both the Objective and Descriptive Test will be conducted online. The aggregate marks of candidates qualifying in both the Objective Tests and the Descriptive Test will be arranged in descending order in each category to be called for the Interview. The qualifying marks in Group Exercises & Interview will be as decided by the Bank. The group exercises will carry 20 marks and interview will carry 30 marks. Solving the Sample Papers will help the candidates to gain more knowledge. Online Mock Tests are like original tests, therefore, it helps the candidates to understand the Pattern and Structure of Exam. Candidates can access their performance through the scores obtained in the mock tests. The candidates, who have availed the maximum number of chances permissible, are not eligible to apply for SBI PO 2017. The number of chances for the same will be counted from the exam held on April 18, 2010. Appearance of a candidate in Preliminary Exam will not be counted as a chance. Also, SBI has announced the vacant PO positions for different categories under its recruitment process for the year 2017. SBI will publish three separate result list for recruitment of Probationary Officers. The same will be hosted here on this page. Candidates will have to qualify in all the sections of Preliminary and Mains Examination. The Marks of the Preliminary Examination will not be considered for preparation of final Merit List. Final Merit list will be prepared on the basis of Mains Exam and Group Discussion & Interview. SBI PO Cutoff 2017 is the minimum qualifying marks which the candidates will have to secure to qualify each stage of recruitment process. Candidates securing more than the desired cutoff will be provided final allotment. The cutoff will be decided by the bank. Appointment letters will be issued to the finally selected candidates for the post of SBI PO for various branches of SBI. The Probationary Officers will be on probation of two years during which they will be given intensive training.